Thank you for visiting! We're working to update our site to make it more "mobile friendly." In the next few months, we'll also be adding content to this site, including a member-log-in area. Make sure to visit us again! 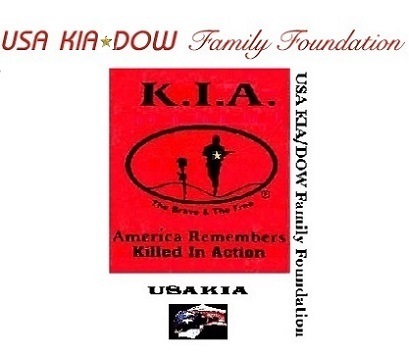 Please make sure to check out our KIA Family Art Project (KIAFAP) in the links above. Renowned artist Rick Kelley provides the beautiful and patriotic art pieces and administers the program as his Families of the Fallen Art Donation. His site accepts requests by families of those killed in action or who died of wounds in Iraq or Afghanistan for a free framed piece a special collection of his works. Click this link for his site. Donations for this great project needed and appreciated! We've already provided over 200 framed pieces completely free to Gold Star Families! We have had to change file locations. All functions here should now work, but some of these are outdated Web pages. Please notify us of any bugs. Thank you!